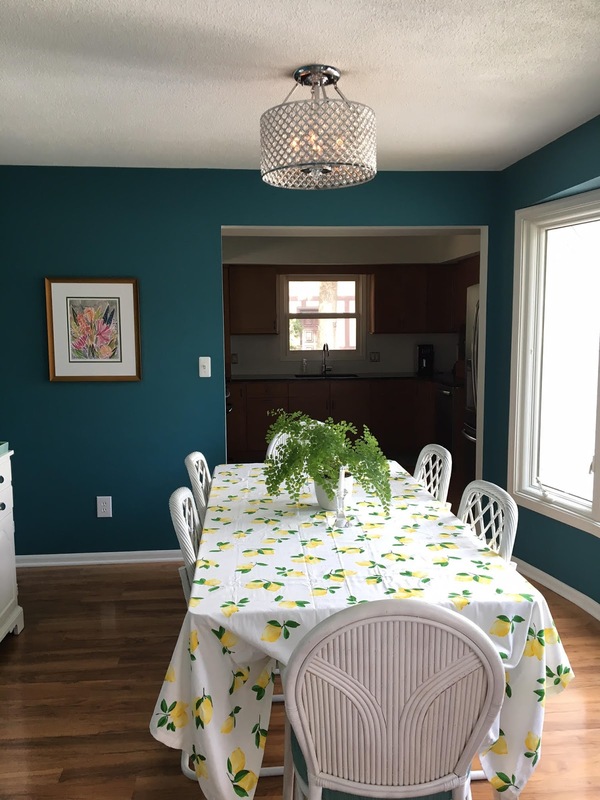 Welcome to Abby Manchesky Interiors! I'm so glad you're here. Today is both parts special and terrifying: day one of the One Room Challenge! 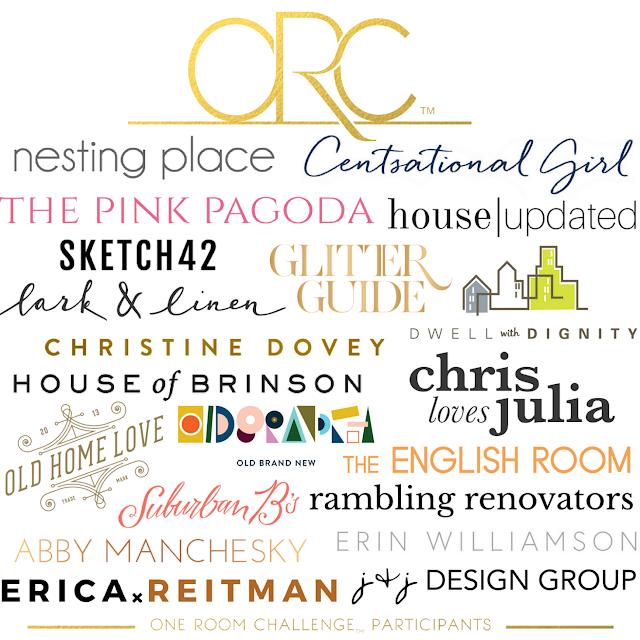 The One Room Challenge is a six week online event trademarked by Calling It Home where twenty design bloggers take on a space from start to finish. You get to follow our progress through weekly updates every Wednesday morning, watching us struggle along the way and hopefully end up with great results. I'm beyond thrilled to be alongside the bloggers and designers above. 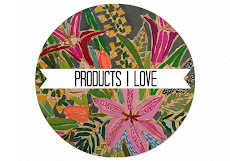 Not to mention that House Beautiful is the media Partner. Eek! They are my dream magazine! I may not sleep for the next six weeks. Truly. This is what you see as soon as you walk in our front door. I didn't fluff it up at all for photos. We live in a '70s ranch complete with a sunken living room. You see our kitchen areas from everywhere in the home because of the open concept. We've kept it basically as it was since we purchased the home six years ago. The trouble is I just don't like it. In the context of the rest of our home it's not a great reflection of our aesthetic. For example, when I'm standing at the stove I'm looking down into our family room. You can see the kitchen cabinet to the right of this photo. 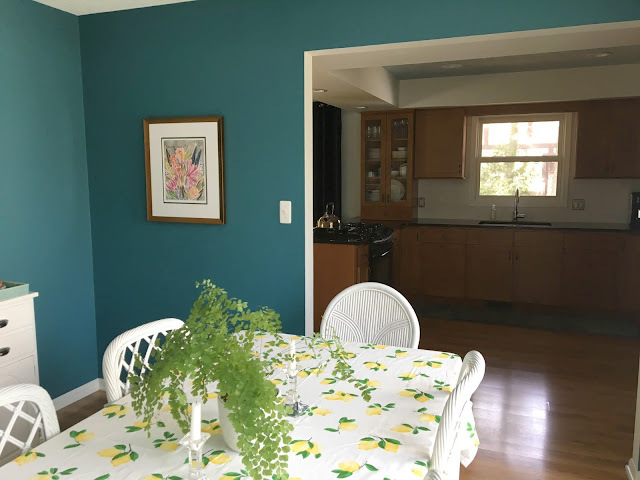 I'd love our kitchen space to fit with the rest of our home. *the bulkhead- need I say more about that? Makes the ceiling so low. 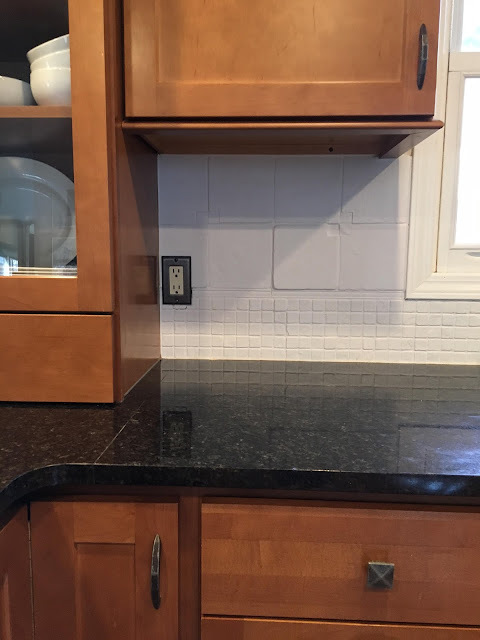 The backsplash was a very mudy tone...more for the Tuscan or old world vibe. One day I was tired of the dark look so I painted it as a short term fix. (You can read about that here.) I am over my short fixes for this space. Our kitchen area spreads down the hallway to our pantry. 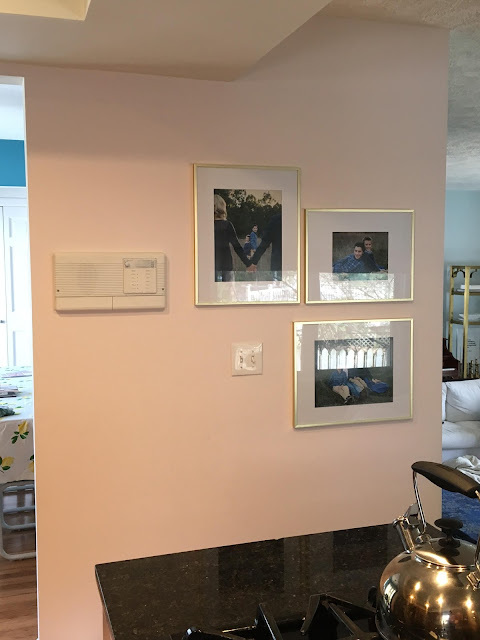 And yes, the walls are blush pink, complete with a speaker system from the '70s. Love the blush, not crazy about the speaker. My goal is to turn this whole space from workable to wonderful. Here's the tricky part--this is a big job for six weeks. Why? Because I can't just rely on myself. I need to bring in other tradesmen. I'm counting on it coming together on the timeline. But please know there is no smoke in mirrors with this ORC. It hasn't been started ahead of time. I'm still making decisions. Even yesterday I was talking to a new tradesman to see if what I'm scheming is actually possible. I leave you with a taste of my inspiration. What do you think? 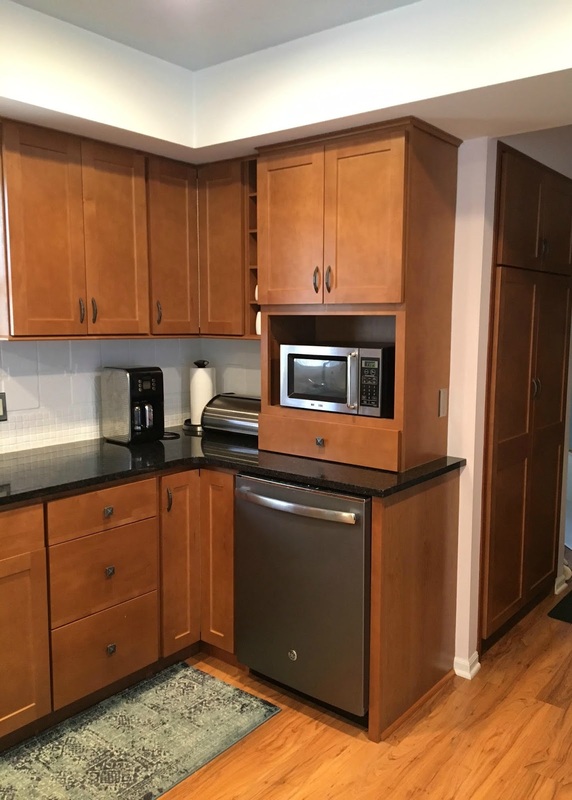 Would you change this kitchen if it was fine but wasn't a fit for your family? I'm looking forward to seeing what projects the other participants are putting together. Click through the links below to view their ORCs. I remember how great you did in your last challenge. But you're taking on a big project this time. Yikes!!! Thank you, Mary. Yes, considering I currently don't have cupboards or a ceiling, it is a big project. I'm hopeful! oh this is gonna be so good though and you will be thrilled with the results in 6 weeks!!! can't wait to see it! Abby I'm so excited to follow you on this before and after! You are going to make it amazing! 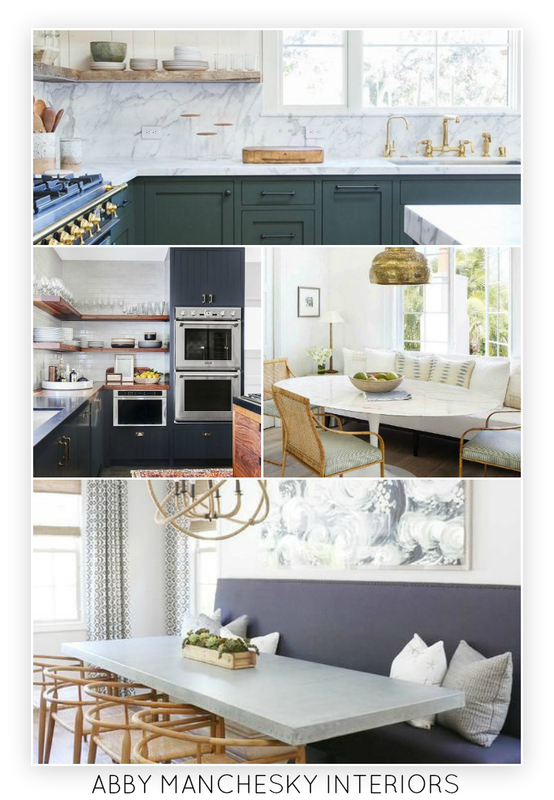 I'm totally in the same boat...perfectly fine kitchen but SO not my style! I finally started meeting with trades last week. Looking forward to watching your transformation and sharing the pain! You can do it! You can do it! Thanks Dana! You always have amazing transformations so I will be sure to follow your progress as well. 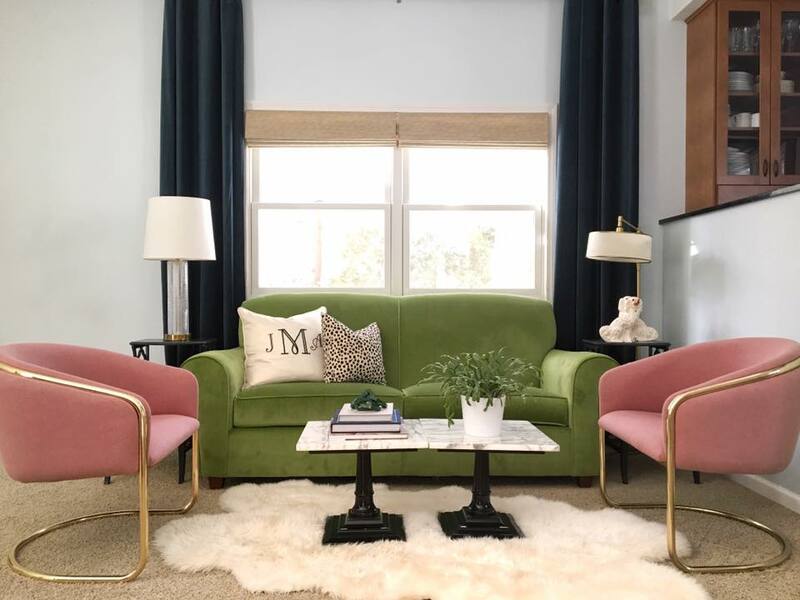 Can you share the blush paint color? i LOVE it! Thank you! I'm crazy about it too. It's called Pink Bliss 2093-70 by benjamin moore. How has your painted backsplash held up these past few years?? What a great idea! Thanks! It has actually held up perfectly...and I'm a lazy DIY'er. ;-) I would highly recommend it. Glad you are part of the ORC challenge again and finally get to tackle the kitchen! It's going to be fantastic! 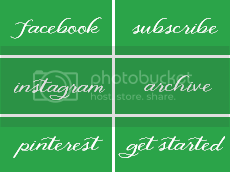 Love the deeper colours in your inspiration images! You always pull together amazing rooms that I have no doubt you'll do the same with this one. I am so excited to see the transformation!!! 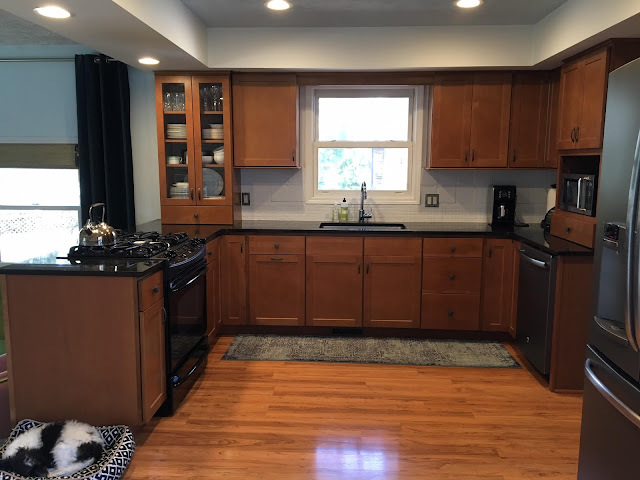 I feel like your kitchen has a lot of the same things my kitchen had before I bit the bullet and changed things up. Your cabinets look like the same color as mine and for years I felt bad hating a kitchen that most people would be happy to have. But the kitchen is the heart of a home and if it doesn't make your heart happy then I say change it! 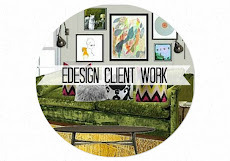 I love our inspiration photos and you could really make that space your style with a few changes! 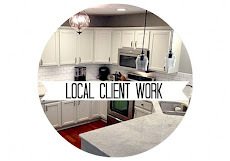 Man I love kitchen remodels and I can't wait to see how yours turns out!! This is going to be gorgeous! How do you keep your maidenhair fern alive though??? Thanks Danielle! My fern is probably too new to consider it me keeping it alive. I've heard that the trick is to keep the soil damp at all times. So many people have this exact same kitchen. This is a great way to show how to update a perfectly fine space. Wow, the old microwave was huge?! Girl, I feel your pain. You have a great space to work with though, and I know it will be fabulous! Thanks Erin! I'm glad someone else is doing a kitchen! We can cheer each other on. OMG this is going to be a good one. haha that speaker on the wall is hilarious. I will be following along. Can't wait! Whoaaaaaah! First of all, AMBITIOUS. But I can't wait to see what happens! Secondly, it looks almost identical to my mom's kitchen with the layout, appliance placement, and orange and black color scheme. 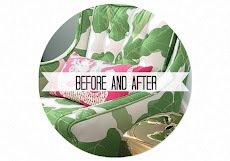 I adore your "after" inspiration photos. This will be a dramatic makeover! Either ambitious or foolish. :) Time will tell. Thanks for reading! Maybe your mom will want to change her kitchen too!